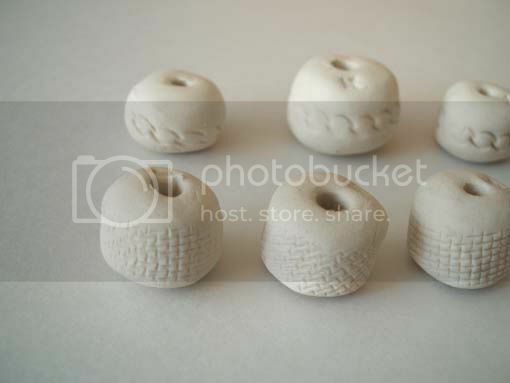 I've just spent the past hour or so playing with clay and attempting to make beads and buttons! Lisa from Seaurchin kindly sent me a chunk of porcelain clay to play with a few weeks ago and I finally found the time to sit down and try my hand at making something. 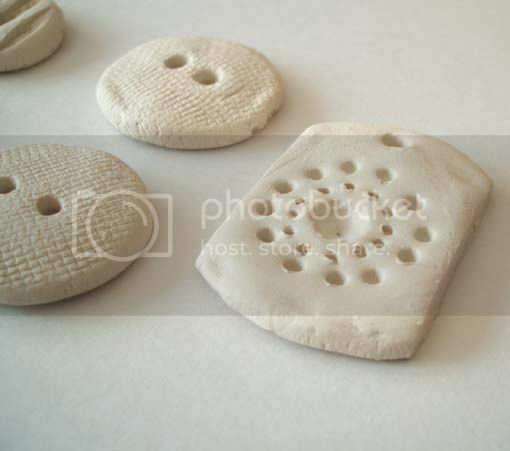 I was really keen to make buttons, but I found them quite hard to make. 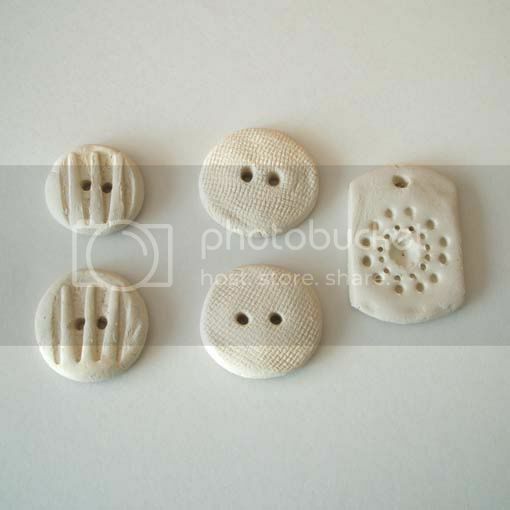 Getting the surface flat, making a round shape and putting a pattern onto the clay was pretty tricky and obviously takes alot of skill and practice. 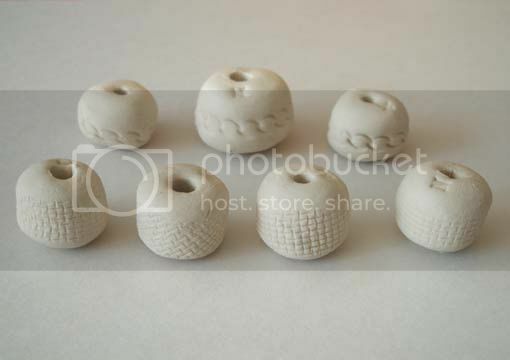 I also made seven beads which I enjoyed making. I think I will attempt to make some more with different textures when I get the chance. I already had alot of respect for Lisa's work, but I have even more respect now. I found it very hard to make the clay do what I wanted, plus I kept leaving finger prints, nail marks and fluff all over the place! Having said that, I did enjoy stepping out of my crafting comfort zone and it was nice to attempt to make something in a new medium. I'm hoping Lisa can improve my feeble efforts with some glaze at the firing stage! 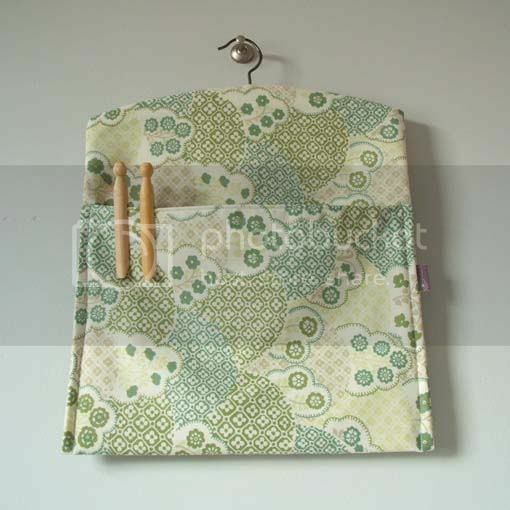 This is the newest addition to the Pouch range of peg bags. 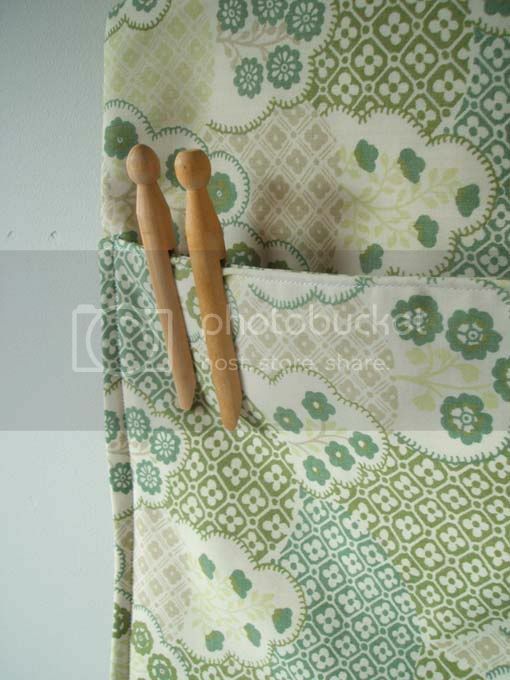 Made with repurposed, vintage fabric & a vintage wooden coat hanger. 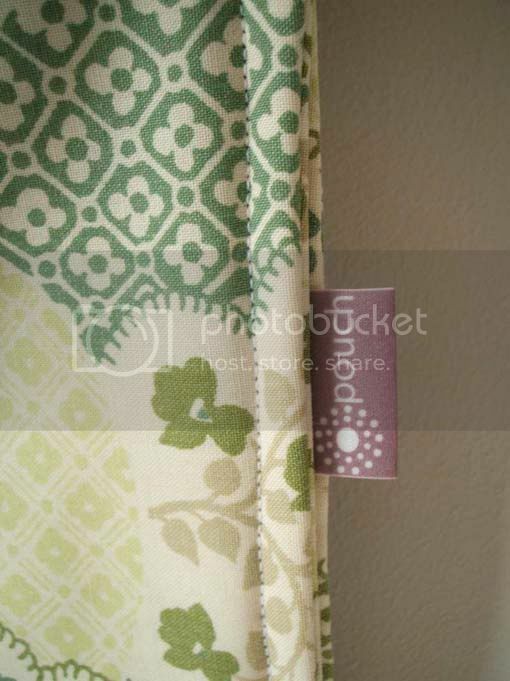 It features a pretty floral pattern in shades of peppermint, lime and sage green. There’s no better way to dry your washing, than to peg it out and let it dry in the breeze. The tumble drier is one of the most energy-hungry appliances in the house. By reducing the number of times you use a tumble drier by just one load per week, you will reduce your carbon emissions by approximately 60kg a year. And reduce your electricity bill! 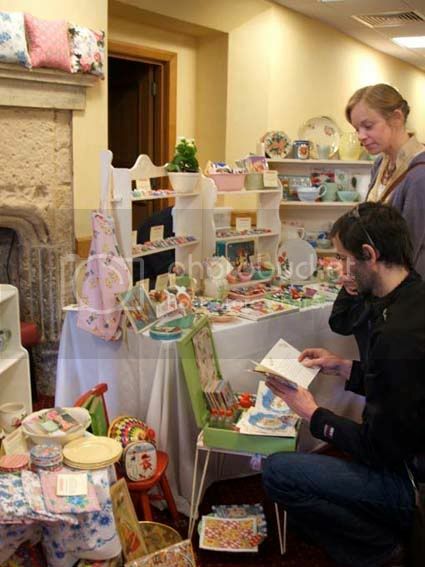 I spent May Day engaged in one of my favourite pastimes, browsing vintage goodies at the Vintage & Handmade Fair in Chipping Sodbury. 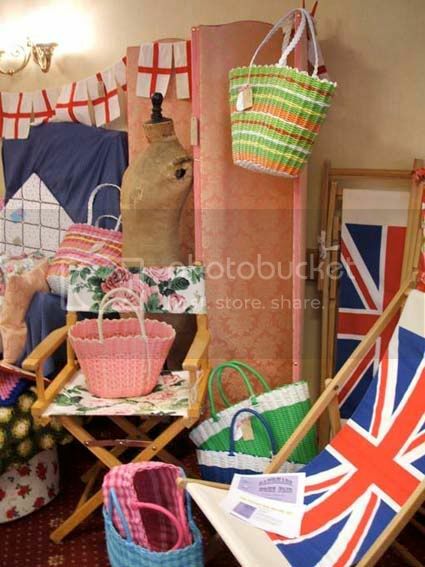 I went along to meet Liz aka The Washerwoman who had kindly contact me via my blog about some vintage fabric I had been trying to get hold of for ages. 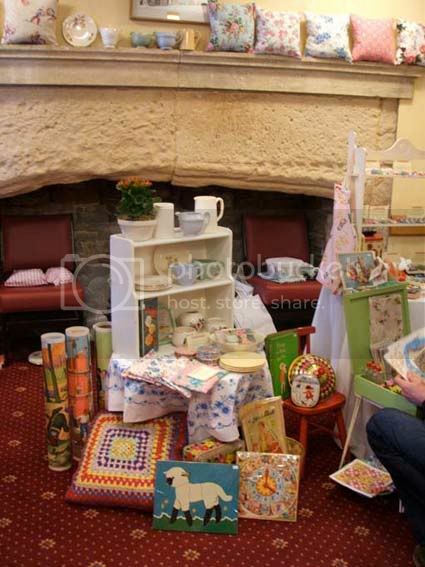 Sadly, I couldn't get a decent photo of Liz's stall. 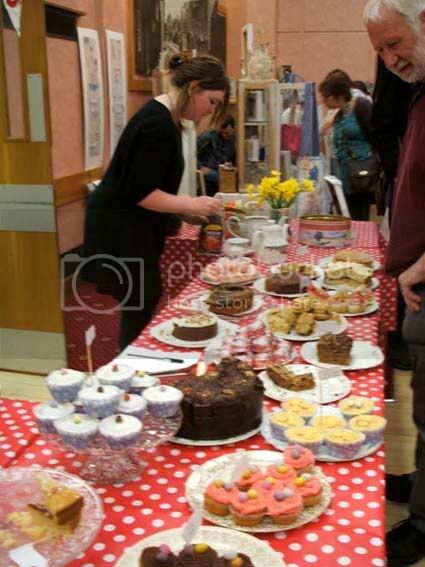 She was so popular I couldn't see through all the people around her lovely selection of vintage textiles and clothes. I hope she achieved her aim of leaving with less in the car than she arrived with! 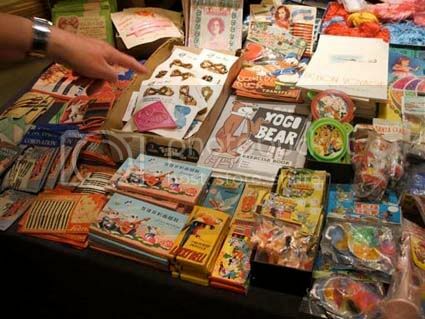 One stall had a cornucopia of vintage trinkets, from Coronation hairclips to yogi bear transfers all priced at £1! And finally, my purchases! 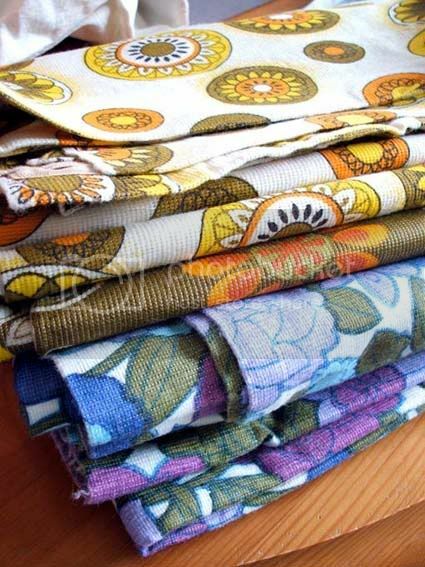 A selection of bold, vintage fabrics in just the shades I most fond of. Destined to be made into lavender rabbits and owls and maybe a couple of small totes.